Ever since the weather has warmed up, we have been out on the porch grilling every change we can get. 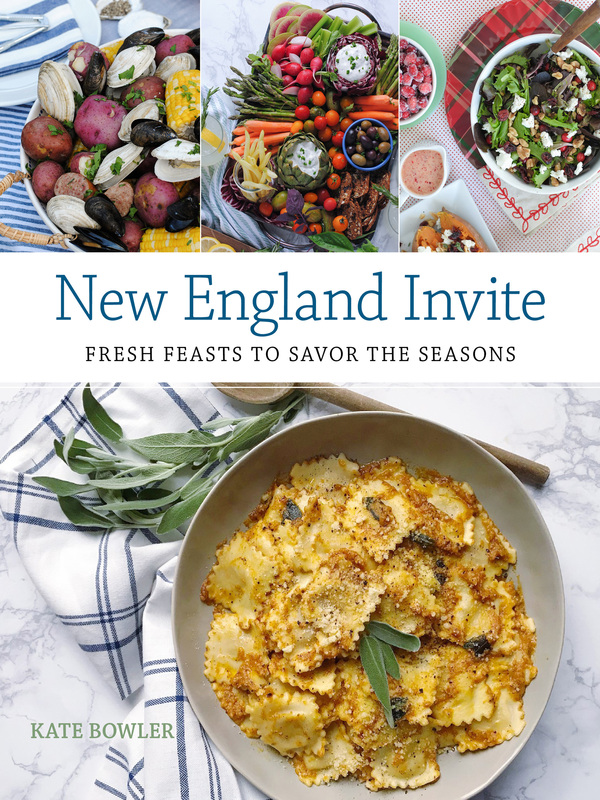 Over Memorial Day weekend we hit up friends’ BBQs, enjoyed a clambake at my parent’s house, and experimented at home with some new burger recipes. 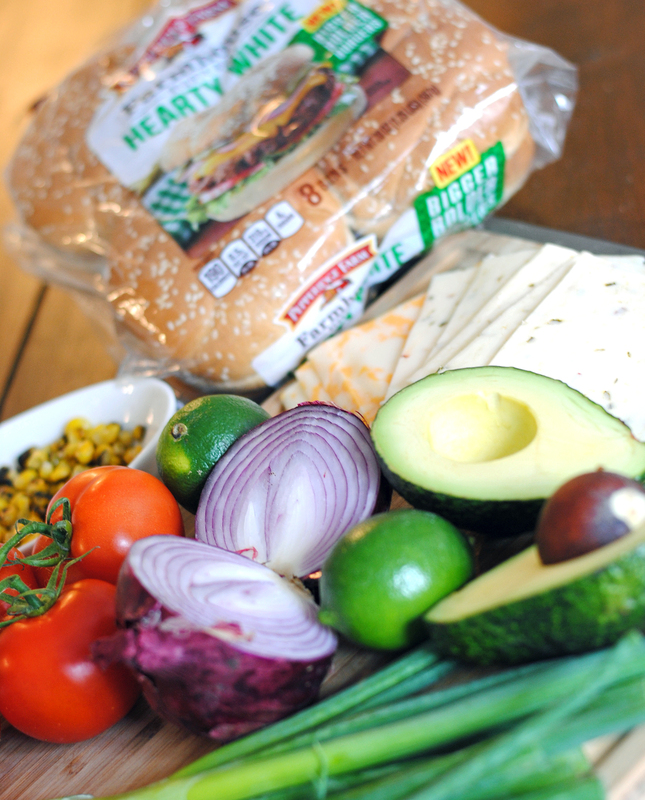 I am all about loading up a burger with a ton of tasty toppings and tested a burger that’s full of cheesy, avocado-y goodness. I mixed up a rustic ‘salsa’ with diced avocados, tomatoes, onions, roasted corn and scallions to top a burger melted with two cheeses: colby and pepperjack. I used Pepperidge Farm® Farmhouse Hearty Buns to hold it all together, these are key — they don’t fall apart under the pressure of all of these tasty toppings! 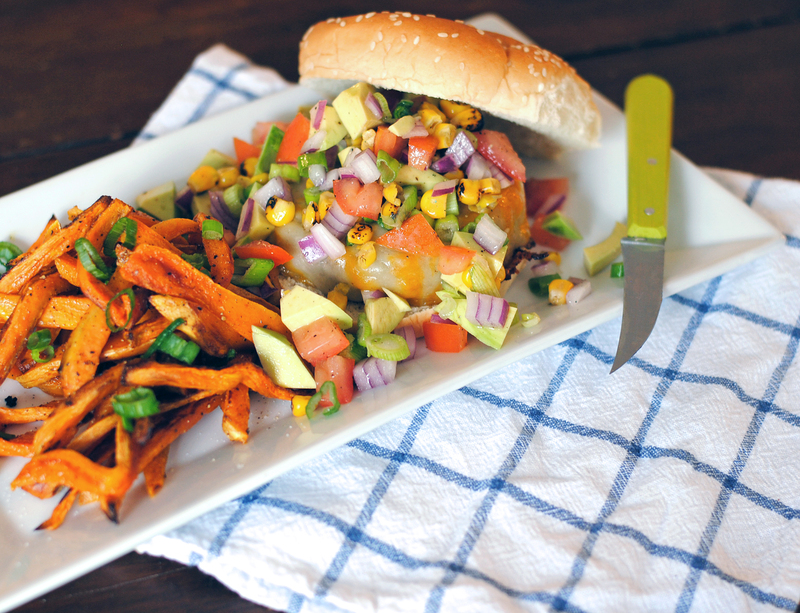 The result was almost like enjoying my favorite nacho ingredients a top a juicy grilled burger on a fluffy, hearty bun (with some baked sweet potato fries for good measure!). Do I have you drooling yet? Full recipe below! Divide beef and shape into burgers, begin cooking to desired wellness on the grill or in a cast iron skillet. While burgers cook, assemble the avocado salsa. 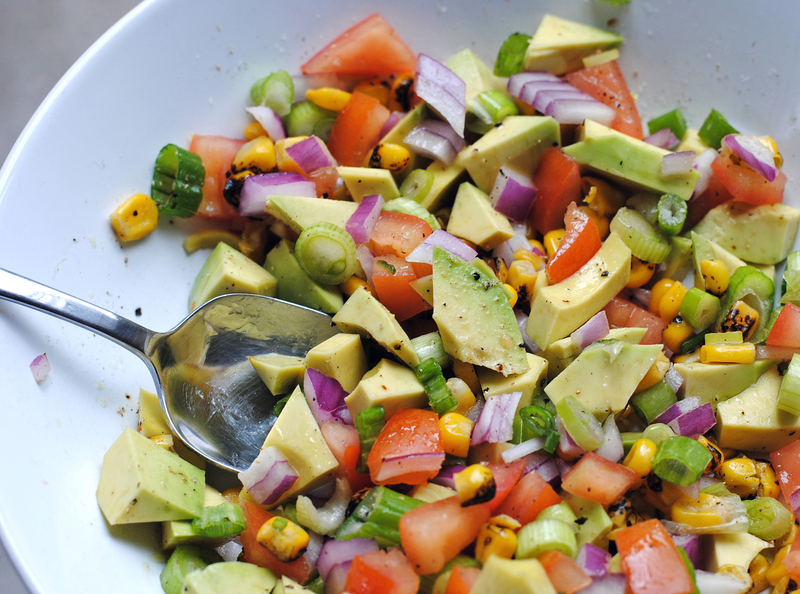 Dice avocados and tomatoes, mince red onion and scallions, and combine all with roasted corn. Toss mixture with lime juice, olive oil and salt and pepper. Set aside. 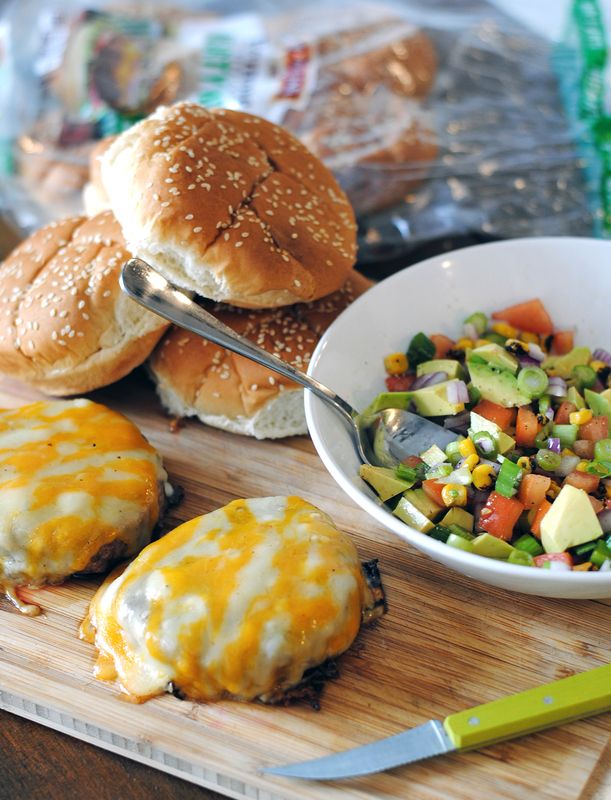 When burgers are almost fully cooked, top with a piece of colby cheese and pepperjack cheese, cover pan or close grill to briefly melt. 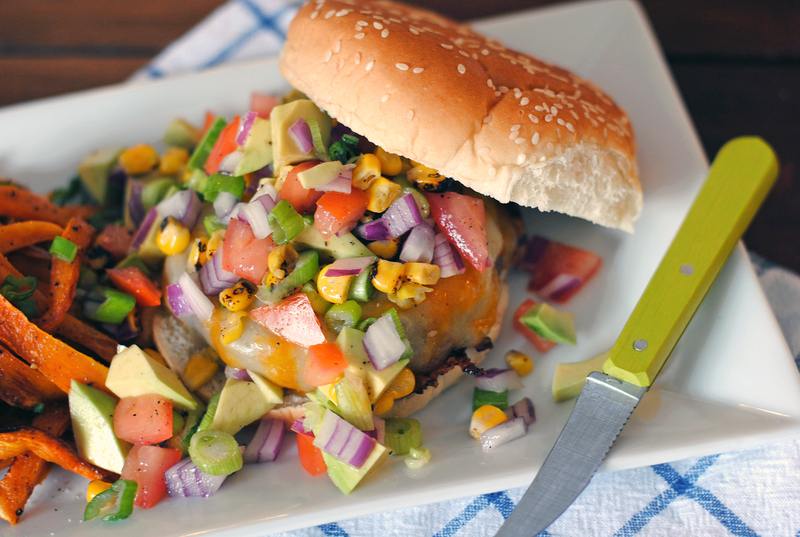 Assemble cheeseburger on Pepperidge Farm Farmhouse Hearty Buns® and top with avocado salsa mixture. 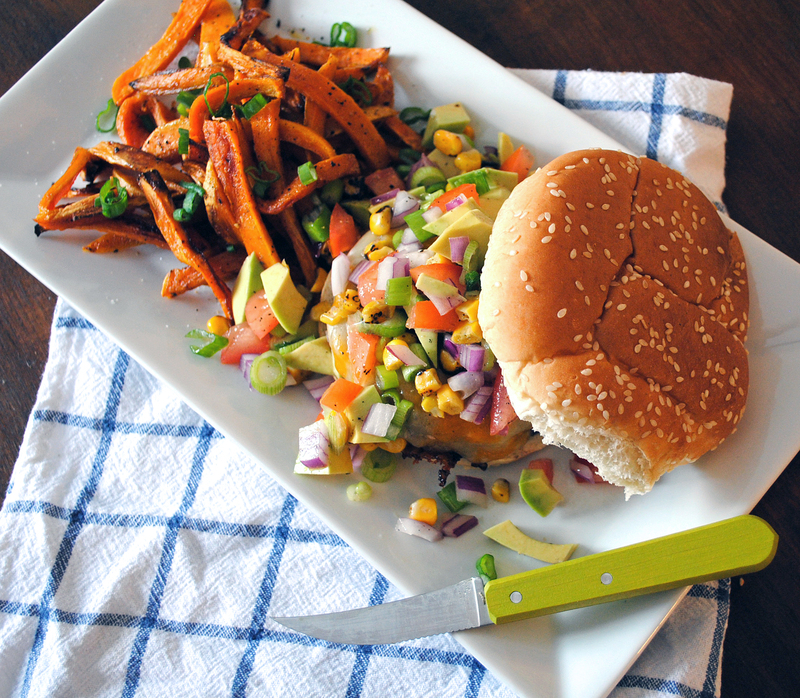 Serve immediately with sweet potato fries and garnish with freshly chopped scallions. Please note: This post is sponsored by Pepperidge Farm® in conjunction with Blog Meets Brand. All opinions, images, and recipes are my own. 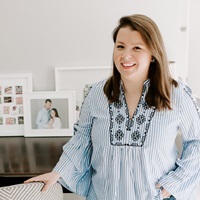 BHG Summer Guide + My Summer Entertaining List. Summer Party Supplies.